When: Thu., June 6, 7-8 p.m.
Join the Band alongside the Erie Canal as it performs light music from its 2018-2019 season. This concert is free and sponsored by the Perinton Recreation & Parks Department. 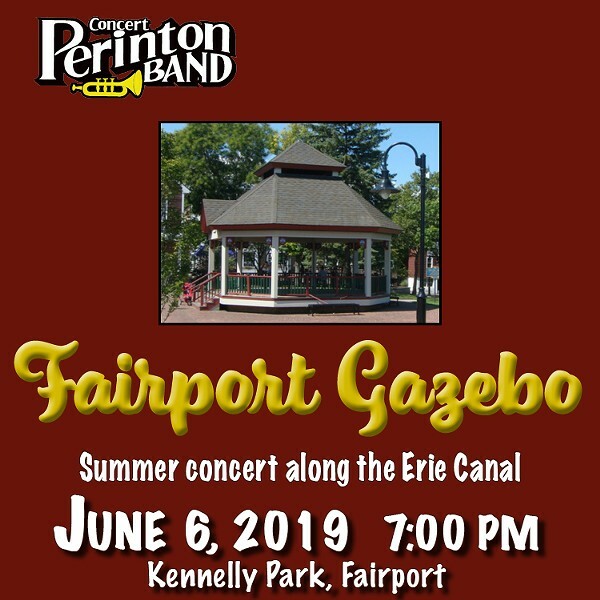 For more information, contact 585-490-4751, or find us on Facebook at: Perinton Concert Band.